« Just What the Heck is MOA and Why Should I Care? Are you sad that you weren’t able to attend the industry-only 2016 SHOT Show in January? 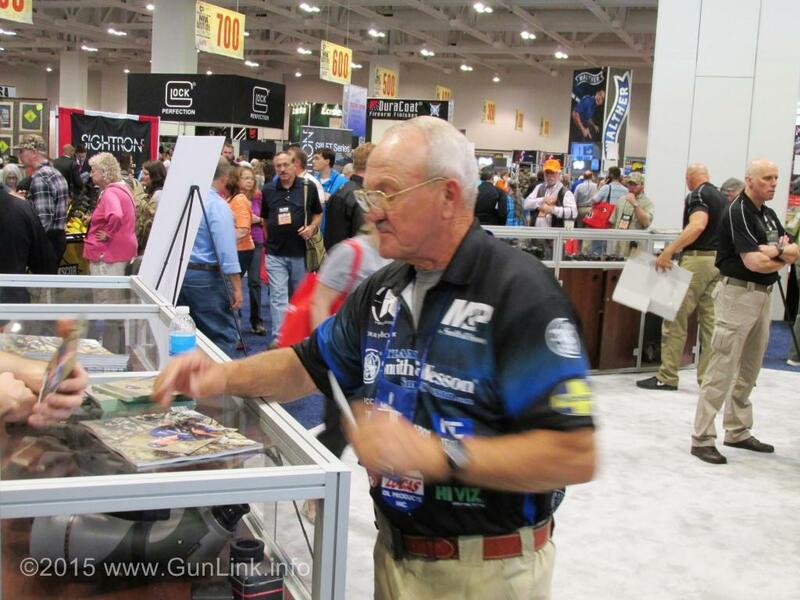 Cheer up, because the NRA Annual Meetings and Exhibits (NRAAM) is just around the corner! 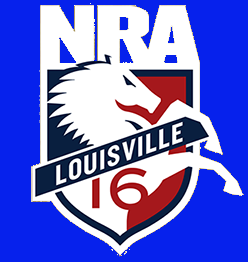 The 145th NRAAM will be held at the Kentucky Exposition Center in Louisville, KY May 20-22, 2016. The show, which is open and free to all NRA members and their immediate family, features over 650 exhibitors covering over 475,000 square feet of exhibit hall space and offers a terrific opportunity to meet with representatives from the manufacturers and vendors of your favorite shooting, hunting, and outdoor gear, guns, and more. The NRA Show also features numerous educational seminars, celebrities, and fun filled special events for the whole family. Visitors can spend the day exploring products from every major firearm company in the country, book the hunt of a lifetime in the outfitter section, and view priceless collections of firearms in the gun collector area. There will also be no shortage of knives, wildlife art, shooting accessories, hunting gear, ATV’s, and much more. As home to the world-famous Kentucky Derby, Louisville knows what it takes to showcase a spectacular race—and the NRA knows what it takes to stand up for our country and win the 2016 presidential race! 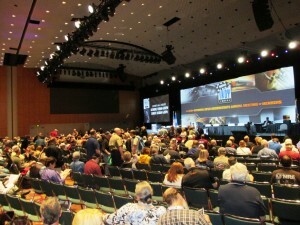 Make plans to join NRA President Allan Cors, Executive Vice President Wayne LaPierre, NRA-ILA Executive Director Chris Cox and your other NRA officers for the 145th Annual Meeting of Members on Saturday, May 21, as they unveil NRA’s master plan to save the Second Amendment and to sprint toward victory in the 2016 elections! The Annual Meeting of Members also provides voting members with the opportunity to elect the 76th Director to the NRA Board. If you are 18 years of age, a U.S. citizen and a fully paid NRA member by April 1, 2016, you have the right to vote for the 76th Director in conjunction with the Annual Meeting of Members. Lifetime and annual members with at least five years of consecutive membership, as shown in the Association’s membership records, who are 18 years of age and are citizens of the U.S., are strongly urged to participate in the business of our Association and to vote on issues presented during the Members’ Meeting. A big highlight of the NRA Show is, of course, the exhibits, but that is not the extent of the show by any means! The show also features an array of special events that will appeal to RKBA patriots, music fans, FFLs, and more. These events include the National NRA Foundation Banquet; 10th Annual NRA Women’s Leadership Forum; 3rd Annual NRA Women’s New Energy Breakfast; NRA-ILA Dinner, Leadership Forum, and Youth Leadership Conference; Firearms Law Seminar, NRA Youth Day; and Prayer Breakfast. 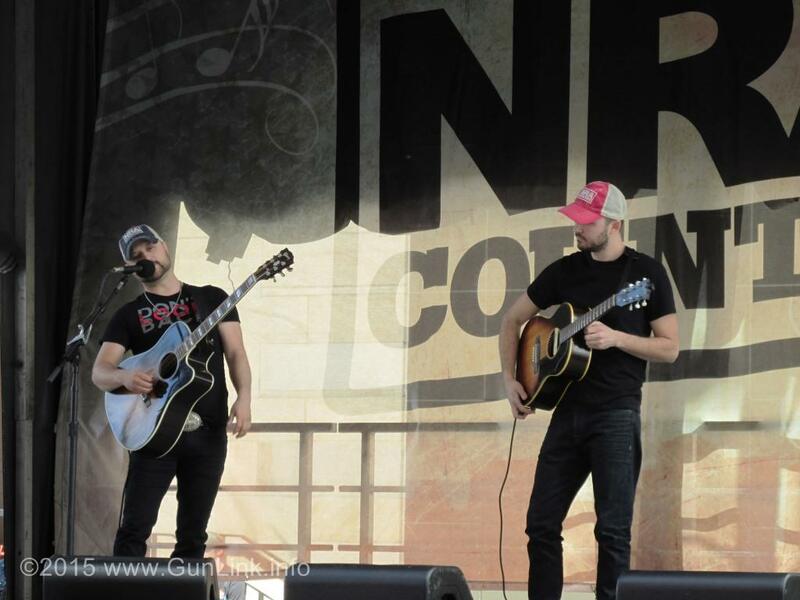 Country music fans will no doubt enjoy the NRA Country Jam VI during NRAAM 2016. After the exhibit hall closes on Friday, May 20, the party kicks off. For five consecutive years the Jam has proven to an immensely popular event for fun loving NRA fans. Last year’s Jam 5 in the country music-Mecca of Nashville – where Hank Williams Jr. packed 40,000 fans into a downtown street – will be tough to top, but show promoters assure that “the only way you’ll be disappointed is if you miss the show entirely.” Fans also will enjoy the Saturday Night Celebration – the culmination of the NRA Show which has previously featured artists such as Miranda Lambert, Hank Williams, Jr., Lee Greenwood, and Alan Jackson. While the 2016 performing artist has not been named yet, rest assured it will be a superstar, and the event will sell out fast. 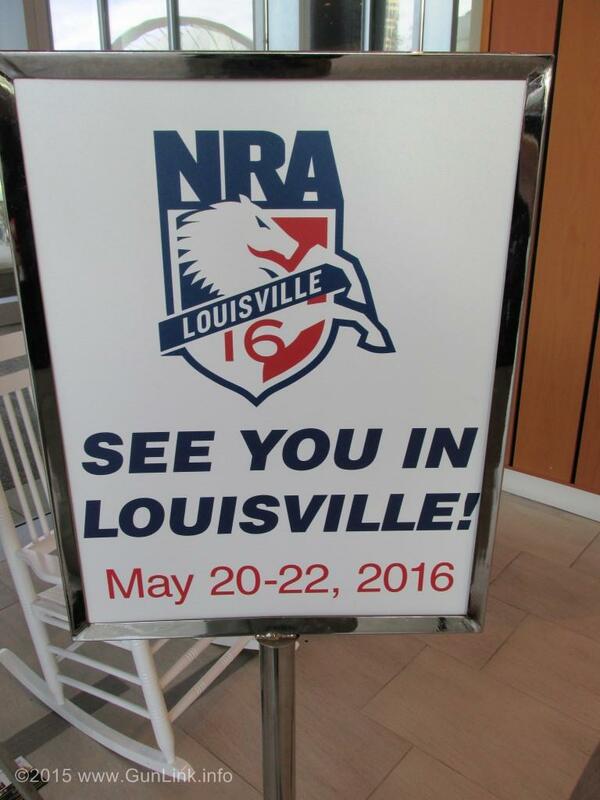 The only way to attend the 2016 NRAAM in Louisville is to be an NRA member or the immediate family of an NRA member. As you have probably heard by now, NRA has recently increased their dues for the first time in over 20 years. If you are joining or renewing directly through NRA without a recruiter, you missed the deadline to save. As NRA recruiters, GunLink has been authorized to continue offering discounted rates through April, so there is still time to save on your renewal or new membership dues by seeing us in person or joining/renewing online here. For more details, useful links, locations, hours and more, as well as to check in, arrange meetups, and discuss the show, visit the 2016 NRAAM discussion thread on the GunLink Forums. While there, you can also get local information, arrange grassroots action, meet friends and more in the Kentucky Board of the forums. For complete details, show registration, hotel booking, and more, visit the official NRAAM website at www.NRAAM.org. The map below shows the show location and can be used to get driving directions. Pre-registration has closed since the event is so close and they mailed out pre-registered badges. You will still be able to register on-site, just bring your membership card (or something with your member number) to show that you are a member. Pre-registration has closed. You may register on-site by visiting the registration counters located in the Kentucky Exposition Center Lobby. Entry to the exhibit hall is free for NRA members and their immediate family. Police officers, firefighters and military personnel in uniform or otherwise properly identified will be admitted free. Members of nationally recognized youth organizations (Scouts, 4-H, etc.) in uniform or otherwise properly identified will also be admitted free. Non-members may register by joining NRA on-site.